Curator Claudia Rousseau will interview Nancy Frankel, whose work is on display at the American University Museum through March 17, about her extensive career as a sculptor and how music and organic geometry have influenced her practice. With Sam Noto and Jacqui Crocetta. Free and open to all, no RSVP required. 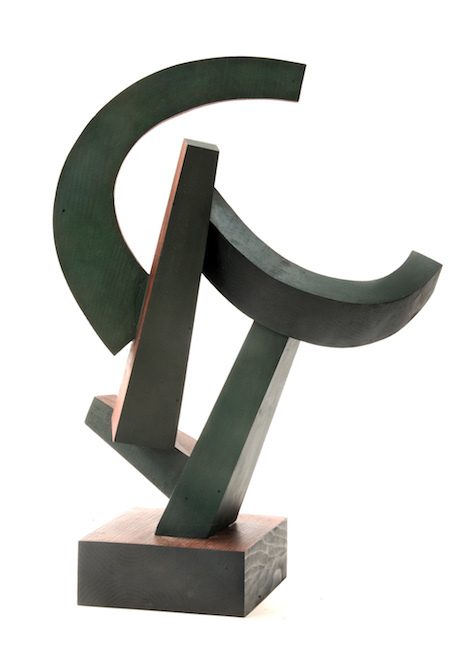 This retrospective of seven decades of the work of Washington, DC sculptor Nancy Frankel celebrates her ninetieth birthday in 2019. Working in various media since the 1950s—including wood, Plexiglas, plaster, design cast, and steel—Frankel has explored a fundamentally geometric vocabulary, often with a sense of playfulness. In addition to her freestanding works in three dimensions, a few of her many graphite drawings and tempera paintings will be represented, as well as one of her large wall reliefs. On view January 26-March 17, 2019. Curated by Claudia Rousseau.